Shopping mall security is not a replacement for retail loss prevention programs. Mall security and LP have supporting missions, but they’re different missions. A diagram of the ideal exchange of information and ideas wouldn’t look like a triangle, with shopping mall security, retail loss prevention, and local police at the three points. Instead, a Venn diagram, with overlapping interactions, is a more appropriate illustration. Good communication is important among everyone who has a stake in workplace safety and crime reduction. Such individuals can include mall security guards, shoppers, property developers, loss prevention personnel, store managers, local police and prosecutors, and national and international associations. Providing a safe and enjoyable shopping experience starts with bringing the right people on board, then training them properly. Careful retail pre-employment assessments are important to weed out undesirable employees. 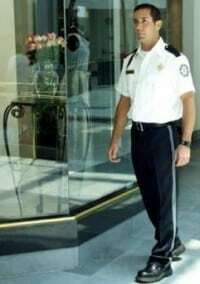 But Jack White, who is a retired officer of the Fairfax County (Virginia) Police Department and was assigned to Fair Oaks Mall for two decades, has seen some “wannabe cops” slip into the ranks. “Anyone who gets stuck with one should terminate the person during the probationary period,” said White. “There are plenty of good applicants who will be assets to the security force by making sound decisions and staying within the parameters set by the organization.” These are the employees who are often promoted to shift supervisor and have longevity within the organization, according to his observations. But specialty retailers also see the benefits of interacting with shopping mall security. “In many malls, the security leader is open to meeting with store management and regional LP managers to discuss shoplifting trends,” said Greggo. A security director of a contract guard agency at a mall in a major metropolitan area, who spoke on the condition of anonymity, stated that she constantly experiences this problem. However, she has developed a way of working around the no-show retailers. This strategy also offers a way to interact more often with busy managers and bring them abreast of problems and situations in the mall. When shopping mall security and retailers cooperate and communicate, the benefits multiply for everyone. The stores reduce shrink and legal exposure, the malls keep customers coming in to spend money, and the crime rate is reduced. To read the full article, check out “Mall Security and LP–Communication is the Watchword,” which was originally published in 2009. This post was updated January 31, 2018.